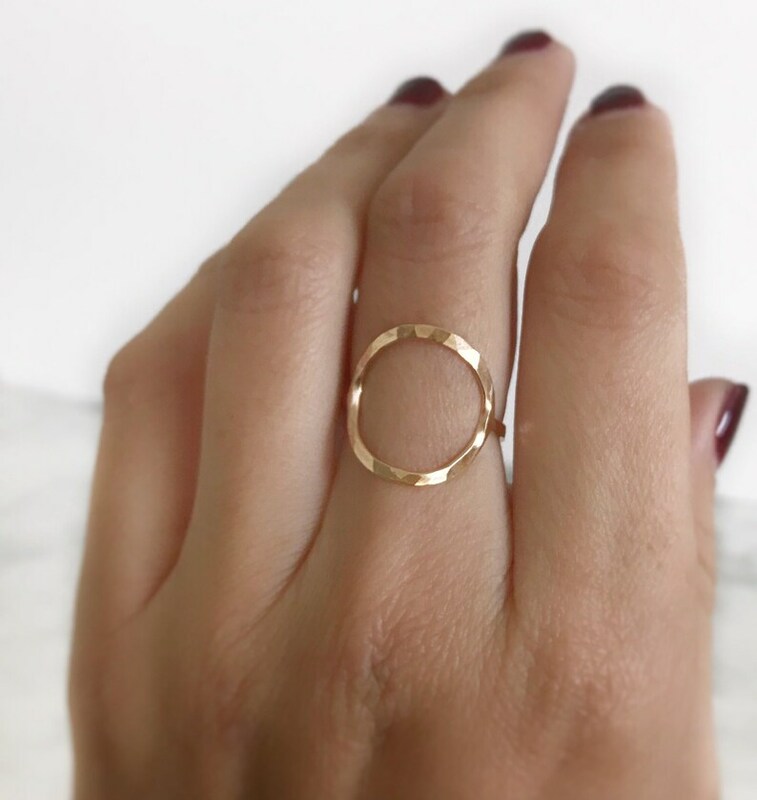 Simple and dainty gold ring completely handmade. It is made of 14K gold, and has been full hammered to give a spectacular sparkle that really shines. I made this ring with 14k gold in the solder.